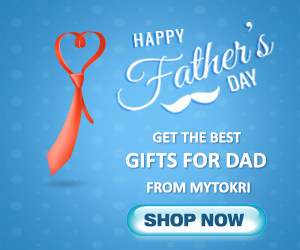 Mytokri | Browse exclusive discount, deals & offers from Mytokri.com!! Lord Ganesha is considered as the symbol of wisdom and good luck. He is regarded as the reliever of obstacles and is the most worshipped Hindu God. This year all of India and especially Maharashtra would be celebrating Ganesh Chaturthi on Friday the 25th of August, but the celebrations are carried out for 10 days. The occasion is celebrated in order to mark the birthday of Lord Ganesha. Any new beginning starts with offering prayers to Lord Ganesha. Mumbai’s water bodies are an important transit point for trade and are a major source of livelihood for the fishermen and a large part of the economy of Mumbai thrives on it. Ironically a major part of water pollution in Mumbai can be credited to no other than the people of Mumbai itself. Every year over 1.5 lakh Ganesha idols are immersed as a part of the festivities during their major festival, the Ganesh Chaturthi. This leads to a lot of water pollution as the immersed idols consist of a lot of harmful chemicals and plaster of Paris. The government has shown their concern about the issue and the Mumbai municipality law also asks for the removal of these idols before the chemicals in them start reacting with the water resulting in reduced marine oxygen and in the process causing great harm to marine life. Ganesh idol makers have been struggling to find a way to solve the issue of not degrading the environment and at the same time not letting the sales of the idols go down. Finally, they have found a way to address the problem. Sprouts Environment Trust is a Mumbai based NGO (Non-Governmental Organization), and they have come up with Ganesha idols that can be eaten by the fish and in the process would be causing no harm whatsoever to the marine life after the idols have been immersed. They have come up with a Ganesha statue made up of fish food. The statues are made up of corn and vegetable powder and are built to the length of up to nine inches. They are colored with natural materials like sandalwood, turmeric, and ochre. These idols are priced at rupees 900 per piece and take just 4-5 hours to dissolved once immersed in water as compared to traditionally made idols that might take up to 9-12 months to dissolve. The solution may be a start to something eco-friendly and would to some extent reduce the water pollution that immersion of idols leads to. The big Ganesha idols are still made traditionally and this solution can only work for smaller idols. But, something is better than nothing and this is a start on our part to conserve our water bodies that help us a lot in meeting our day to day need and contribute a great deal to our economy.